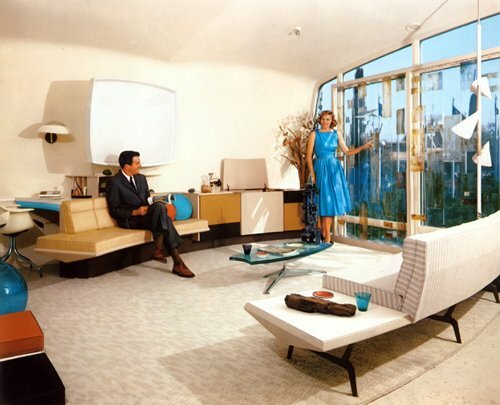 The interior of the House of Future was redecorated at least once, if not several times, to keep up with changing technology and fashion. 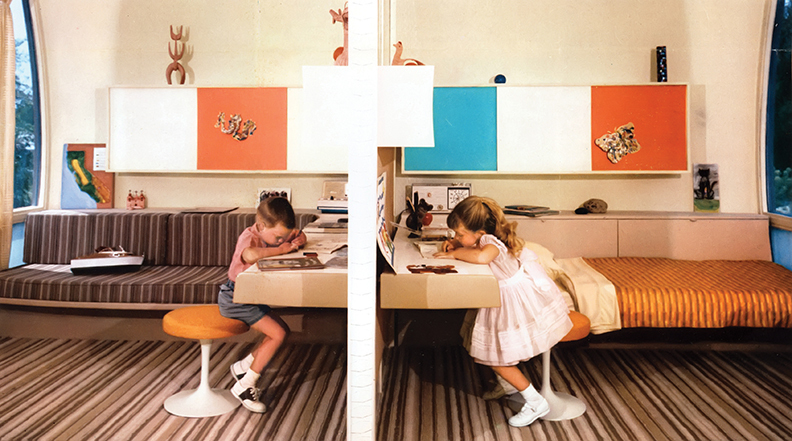 The three interior shots featured here (children's rooms, living room, kitchen) represent the interior look from the early period. In any case, Kirwan says, Monsanto couldn’t have found a better place to install its House of the Future—a place with beautiful weather and immense crowds. The house, which opened to the public in June 1957, was an immediate hit with the public and the press. Families poured through, admiring the curved walls and corners that did not trap dust, the rooms that were as much window as wall, and the scented air conditioning. 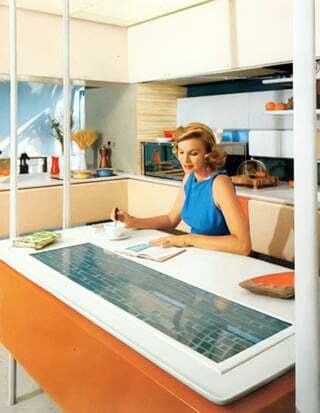 The all-electric Kelvinator ‘family food center’ was particularly rich with gadgetry. The dishwasher and three refrigerators were stored out of sight, magically appearing at the push of a button. Ditto the electric range and the microwave oven, quite a novelty at the time. “A steak is cooked by microwave in just 30 seconds,” one paper reported.